If you are walking around with missing teeth there have been advancements in dental implants that can replace those teeth with permanent new teeth. 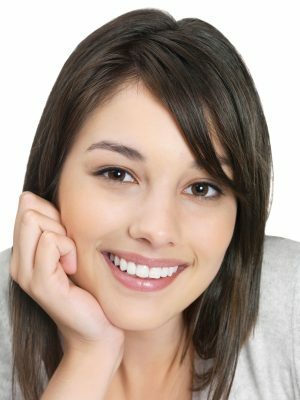 Dental implants from our Huntington Station cosmetic dentist at Dental Arts of Wyandanch and Huntington Station can make your smile whole again using the latent dental techniques and technology in a gentle and stress-free office environment. Up until the introduction of dental implants teeth could only be replaced using bridges or dentures, each of these placing an artificial tooth that is held in place above the gums. Dental implants differ from even fixed bridges in that they don’t hang on the gums but become a part of the jaw itself. Dental implants begin with a thorough examination of your mouth and digital images to determine the exact problem and the best treatment option. If an implant is a viable option our Huntington Station cosmetic dentist will also determine if there is sufficient bone available at the spot of the missing tooth to support the implant. If there is not sufficient bone available our doctor may use a bone graft to supplement the available bone in the area and stimulate the growth of new bone. An implant placement involves opening up the gum over the missing tooth and implanting a titanium anchor directly into the bone of the jaw. The gum is then closed and in three to six months the anchor will bond with the jawbone forming an extremely strong and stable root for the new tooth. A post will be placed on the anchor and topped by a crown to complete the replacement tooth. Dental implants look, feel and function exactly like the natural teeth that they replace. Our Huntington Station cosmetic dentist also uses implants as a way to secure dentures and bridges when several teeth are missing or even a jaw full of teeth. Our doctor will implant several anchors along the jaw and use these to hold the dentures. Either fixed or removable dentures can be attached using implants. Snaps are used to secure removable dentures. Implants hold dentures much more securely than dental adhesive paste. Using implants with partial bridges means that crowns aren’t placed over the adjacent teeth. If you have missing teeth call our office for an appointment to discuss whether implants are right for you.